WHEN IS MY ORDER SHIPPING & WHEN WILL IT DELIVERED? I bought something online the other day and was shocked to find that it would take almost two weeks to be delivered…. For a pair of shoes! The well-known company I used shipped it UPS to my local USPS center, where it sat for 2 days until it is was delivered to my local carrier and finally to my house. It would have been easier to just go to a local store and get it… but then I wouldn’t have gotten such a great deal, and in my size. As we all drive up and down the interstate, it’s hard not to see trucks traveling up and down, carrying products to their final destination. 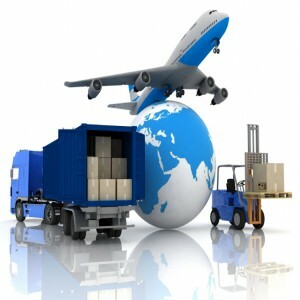 To stay competitive and the spontaneous ability to ship anywhere, most companies use an outside carrier to ship their products all over the country and to international destinations. Shipping and delivery at Tools USA is quick. In shipping our products to you, we use Estes Express, Road Runner, Wilson Trucking or UPS. We know how anxious you are to receive your order, so we make every effort to get your equipment out our door in a timely manner. If you place your order in the morning, and it’s in stock, we strive to have it out the next day. Once it’s on the truck, we have no control over when your equipment will arrive to you. We do meet with the trucking companies often and negotiate on our customer’s behalf for fair shipping prices and suitable shipping times. One of the services our customer service team offers is a phone call to let you know when your order leaves our warehouse and to give you an estimated time to expect it. We recommend that once you receive a call from our customer service team, you call the trucking company and setup a time for delivery. We’re happy to give you the trucking company’s contact information. That way, you will be informed of any delays on their end as well as be prepared to accept delivery when they arrive and start enjoying your order! Extra Tip: Be sure to inspect your order for shipping damage before you sign for it! Previous Previous post: Have you ‘Visited’ your auto body shop lately?